ALL AMERICAN Window Tinting, Inc., (AAWT) is the office and commercial window tinting specialist in Downtown Denver and surrounding areas in Colorado. Specializing in numerous over-sized and irregular shaped windows. 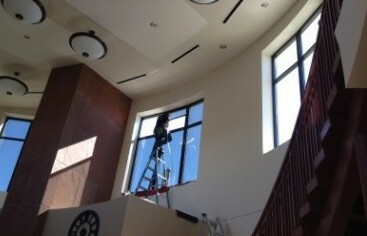 Our commercial window films can increase safety, save energy and enhance the appearance of your building. Our High-Performance films can protect interiors from fading, reduce glare on computer screens, and eliminate discomfort all around. 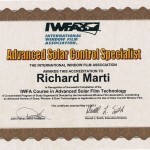 All American Window Tinting, Inc., is now an accredited Advanced Solar Control Specialist through the International Window Film Association (IWFA). The IWFA is an international association of window film manufacturers, distributors and installers dedicated to the improvement of products and services for the consumer. 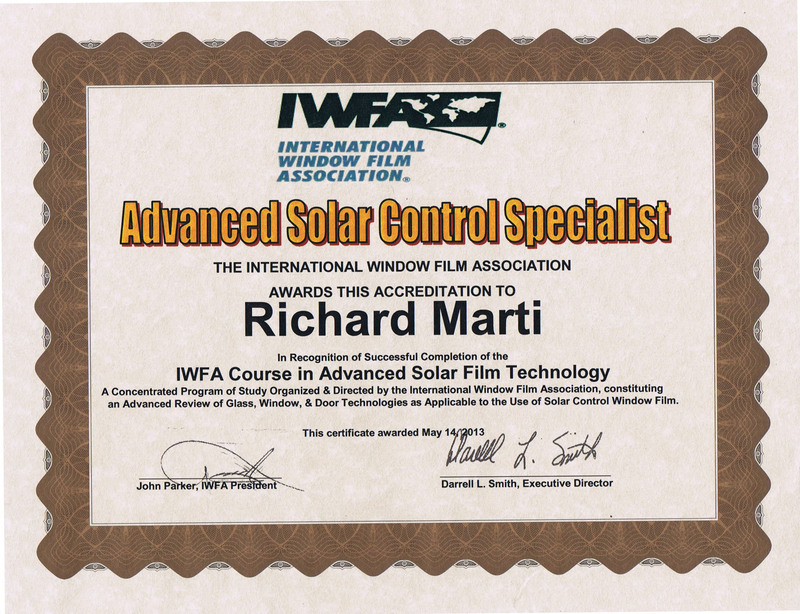 As part of this dedication, the IWFA has developed a test designed to evaluate the knowledge and skill of the professional installer. Have a problem with graffiti? We have the solution to that problem with our “anti-graffiti” window film that serves as a sacrificial coating to protect your property (glass, elevator doors, bathroom mirrors, and other non-porous surface areas). See our section on Anti-Graffiti window film for more information. Want to protect valuables in your store front windows? We have security films to deter or discourage thieves from smash and grab robberies. See our security section for more information. Whatever your need for window film or window coating may be, the investment will pay for itself in no time. All American Window Tinting, Inc. (AAWT) has been cooling Colorado since 1993. We can provide thousands of references: DIA, Colorado Judicial Building, Denver Police Department, Denver Water, Colorado Division Of Wildlife, Colorado Department of Revenue, various government buildings, Denver Fire Department, Best Western and many other hotels, Burger King, Brentwood Church, Denver Housing Authority Building, Children’s Hospital and other hospitals, hundreds of Apartment complexes, thousands of business store fronts, schools; just to name a few. 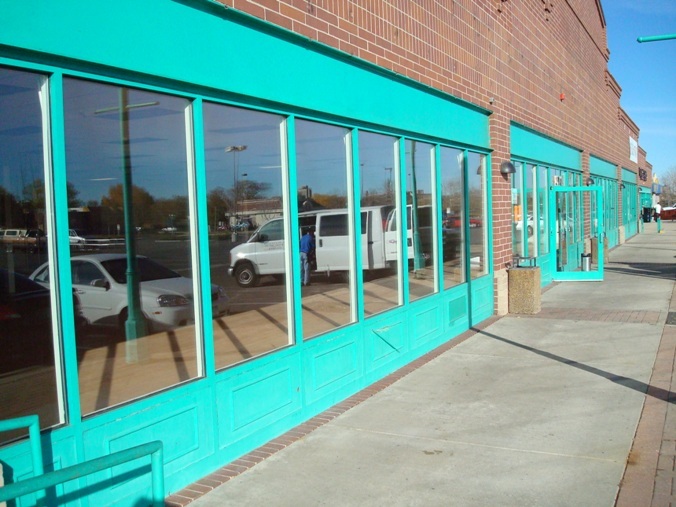 Here are some pictures of commercial window tinting jobs in Denver and surrounding Colorado that All American Window Tinting, Inc., (AAWT) has completed. Is the glare from the afternoon sun making it difficult to see your computer screen? 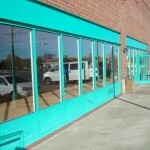 Does your storefront have merchandise that is becoming faded from the intense Colorado sun? Do you need a little privacy in a specific room in your building, like the conference room? 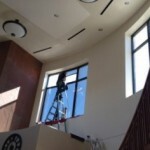 We have a window film to meet any of these needs and solve any of these issues. 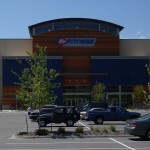 From Decorative privacy window films to one way mirrored window films even light films that reduce UV and IR but still allow patrons to “window shop”. We have the solution to meet any of these needs. Contact All American Window Tinting, Inc. today!